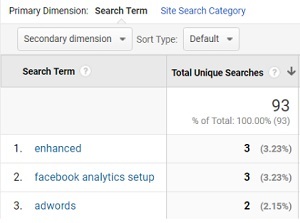 This article is in conjunction with the article Understanding site search tracking in Google Analytics where I introduced the concept of ‘site search tracking’ in Google Analytics and also introduced ‘GET based’ and ‘POST based’ search engines. 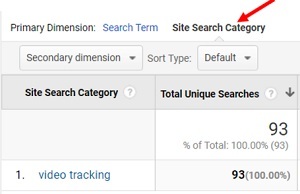 Today I am going to show you, how to set up site search tracking in Google Analytics for a GET based search engine. 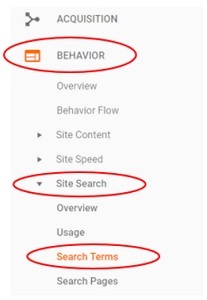 It is important to remember that the site search tracking does not come pre-installed in Google Analytics. You need to manually set it up, in your reporting view. Before you set up site search tracking, you need to know, how the search engine set up on your website works and how it send search information (search query parameter, category parameter, search terms etc) from a user’s web browser to your web server. Step-1: Navigate to your website and then perform a search. If you do not see search query / category parameter in your search URL then may be you are using a POST based search engine on your website. Contact your web developer, if you can’t identify the search query and/or category parameters. Note: Some websites can have multiple search query parameters. If you have got such website then you would need to find and note down all such parameters. 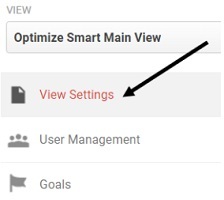 Step-3: Login to your Google Analytics account and then navigate to the view in which you want to set up site search tracking. Note: The site search tracking is set up at the view level and not at the property level. 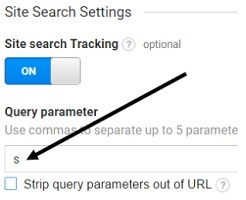 Note: When you strip the query parameter from your search page URL, no non-search query parameter is stripped from the search page URL. When you strip the category parameter from your search page URL, it also strip the category name associated with the category parameter from the URL. However no non-category parameter is stripped from the search page URL. Please bear in mind that stripping query/category parameters from the search page URL could have different effect on different websites. It all depends upon how your website has been set up for internal site search. So test your search page URL after stripping query/category parameters and before making this change permanent. Step-8: Click on the ‘save’ button. Step-9: Perform couple of searches on your website and then wait for 10 or so minutes. 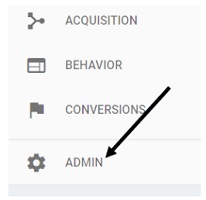 Step-10: In your GA view (where you set up the site search tracking) set the date range to ‘today’.